What is the Character of Christ? We often pray or sing, “I want to be like Jesus.” But however noble this desire maybe, what exactly do we mean by this? What is the character of Christ that we must imitate and must be conformed to as it says in Romans 8:29? In order to be like Jesus and be conformed (or transformed) into His image, we are to emulate Him in more than just one point. And we are only able to do this if we know who Christ really is. That is why we need to know the character of Christ. This article is an attempt to tell what kind of person Jesus really was according to the Scriptures. In the Bible, our Savior’s love was manifested in two ways: to His Father and to mankind. Christ’s love to the Father was evident in His complete obedience to Him. Anyone reading the gospel of John cannot but be impressed with the place the Son takes in obedience to His Father’s will. 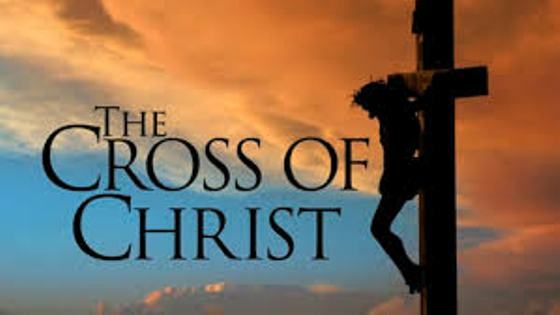 Where every other man sought to do his own will, Jesus sought only His Father’s will (John 5:30; John 6:38; John 17:4; John 19:30). * Through His death, Jesus not only kept the law to love the Lord His God with all His heart and His neighbor as Himself, but His obedience to His God and Father infinitely transcended what was required of man by the law; for Jesus’ life of obedience exhibited God’s nature and character of love. Christ showed His love first by coming to earth from heaven. The opening verses of the gospel of John and Philippians 2:5-8 present Jesus Christ in divine glory, existing in eternity with God the Father and the Holy Spirit, as the creator of all things, and as the one who has life in Himself. Yet, He willingly left His throne, emptied Himself of His Godhead form to become a man that He might pay the penalty for our sin and save us from punishment in the lake of fire. The supreme proof of the love of Christ was voluntarily dying for us (John 15:13). Sometimes people may give their lives willingly for a friend, relative or other “good” people who they deem as worthy, but Christ’s love goes beyond that. The love of Christ toward mankind was demonstrated in so many ways, but He ultimately proved it through His suffering, death and resurrection. Christ’s love extends even to those who are most unworthy of it. He gave the most He could give for those who deserved it the least. Romans 5:6-8 says that Christ died for the ungodly and He died for us even when we were still in our sins. * Knowing how much Christ loves us and what He had to sacrifice in order to save us, must compel us to love Him by submitting to Him and obeying Him. 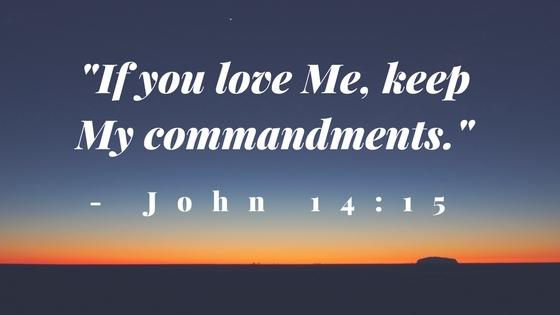 As Christ showed His love to the Father through His obedience, we also show our love to Him by obeying Him (John 14:15; 23-24). * How do we love like Jesus? Only He can provide the strength and ability to give the same love to another person. God loves us unconditionally and He wants us to love Him and love others the same way (Matthew 22:37-39). To love others unconditionally means putting others’ needs above our own and doing what’s best for them regardless of how we feel. Holiness means free from defilement; so to say that Christ was absolutely holy is to say that He is absolutely pure. The New Testament teaches clearly that Jesus was and is absolutely holy, for He was without sin (Hebrews 4:15; 1 Peter 1:19; 1 Peter 2:22; 1 John 3:5; and 2 Corinthians 5:21). Moreover, Jesus did not commit any sin and always did which was correct and pure. He manifested his holiness in loving righteousness and hating inequity as seen in His cleansing of the temple (John 2:13-22) and His denunciation of sin and hypocrisy (Matthew 7:3-5; Matthew 23:27; Romans 12:9). Jesus hates sin so much that He was willing to die on Calvary to defeat sin and offer righteousness to all who believe in Him (Romans 3:25). * God calls us to be holy (1 Peter 1:16) and to be holy means to be “set apart” or to be “separate.” When God calls us to holiness, it means that we are to be set apart from the world unto God, separate from all sin. The Bible exhorts us to not conform to the pattern of this world (Romans 12:2) but be transformed by the renewing of our minds. 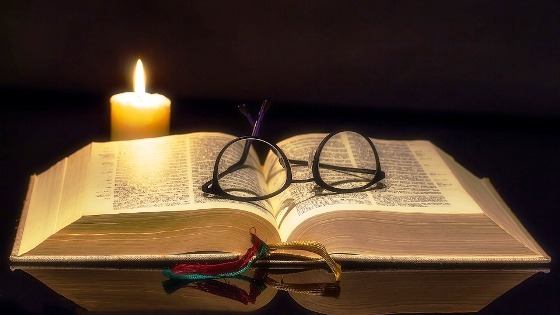 * This is the stage in our salvation called “sanctification,” where we grow in our spiritual walk with the Lord by reading and meditating the word of God and applying them in our lives. The concept of biblical meekness must not be confused with wimpiness or fear, lack of strength and moral character. Meekness is the attitude of the mind that is opposed to harshness and contentiousness. It manifests itself in gentleness and tenderness toward others. Jesus was meek and yet He spoke out boldly, even knowing that it would lead to torture and execution. Jesus Christ manifested meekness in not breaking the bruised reed or quenching the smoking flax (Matthew 12:20), in his gentle and tender reproof of Judas Iscariot who betrayed Him (John 13:21; 27), in His gentle rebuke of doubting Thomas (John 20:29), in his tender rebuke of Peter’s self-confidence and unfaithfulness, and in praying for His murderers (Luke 23:34). What does it mean to be humble? Like meekness, humility is a word that is often misunderstood and a quality that is often viewed as weakness. Funk and Wagnalls defines humble as being free from pride or vanity; being modest, respectful and unpretentious. Jesus Christ was humble for He sought not His own glory (John 8:50), washed His disciples’ feet (John 13:4-5), kept silent under outrageous charges (Isaiah 53:7; 1 Peter 2:23), associated with publicans and sinners (Luke 15:1-2) and humbled himself even to the point of death (Philippians 2:8). * 1 Peter 3:15 is a text that challenges Christians to defend their faith; we are to make a case for Christ but present it with gentleness and respect. Christians are not called on to condemn those who are curious about our hopefulness. Nor are we vindictive, vengeful, proud or insulting to those who disagree. We display a Christ-like character of meekness and humility by explaining it without harshness or dismissiveness. 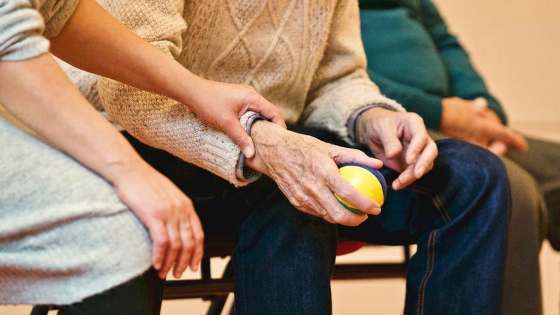 The word compassion, as it is used in the Bible means, “to be moved inwardly, to yearn with tender mercy, affection, pity and empathy.” It refers to the deepest possible feelings. The Bible tells us that God is a compassionate and gracious God, slow to anger and abounding in love and faithfulness (Psalm 86:15). Jesus Christ exemplified all of His Father’s attributes and characters, including compassion. The gospels tell us how Christ was moved deeply in his inner being by the needs of those around Him and He demonstrated it with actions. When Lazarus died, Jesus felt compassion for His friends and wept alongside them (John 11:33-35). Jesus was moved with compassion by the suffering of others that He healed the large crowds who came to Him (Matthew 14:14), healed the blind (Matthew 20:34; John 9) and cleansed the lepers (Mark 1:40-41; Luke 5:12-15). We also read in Matthew 9:36 and Mark 6:34 that Jesus was moved with compassion over the multitudes. When He saw them wondering and weak without a shepherd, He saw the great work that needed to be done and He started teaching them. * Compassion is not just pity and sympathy; it needs to be accompanied by a desire to help change things. Compassion moves us to do something! It is not enough to have pity for someone. We need a deep awareness of the suffering of others and have the desire to do something for others. Jesus was a man of prayer. Being one of us while on this earth, Jesus was subjected to the same temptations, joys, sorrows and frustrations that affect us all today. And through it all, Jesus did not simply offer up prayers and petitions; He prayed with passion. Why did Jesus pray? Prayer was an important part of Jesus’ life because it was His way of communicating with God the Father. Having an eternal relationship with the Father, Jesus enjoyed talking to Him continually and regularly. Jesus’ prayer life also serves as a model for Christians to follow. Just like our Lord Jesus, we need to pray and rely on the power of God every day to help us walk with Him, whether in a season of great success or great trial. How did Jesus pray? Jesus prayed all night (Mark 1:35; Luke 6:12), He prayed in submission to the Father (Matthew 26:42), He prayed openly to the Father for miracles (Matthew 14:19; John 11:41-42), He prayed before great experiences such as baptism, temptation, etc. (Luke 3:21; John 6:15) and He prayed for others (Matthew 19:13; John 17:6-12). Jesus not only taught His disciples to pray but also told us to do likewise (Matthew 6:9-13). And although Jesus sometimes prayed with His disciples (Matthew 14:13; Luke 9:28; Luke 22:31-32), He often sought to be alone in prayer (Luke 5:16, and He ended His earthly life with a prayer (Luke 23:46). Jesus Christ is still praying for us even now in heaven at His Father’s right hand. No man prayed as Jesus prayed. To Him, prayer occupied no secondary place. Prayer was the secret of His power, the law of His life, the inspiration of His toil and the source of His wealth, His joy, His communion and His strength. * If we are to act like Christ, our prayer lives must be conformed to His. Jesus modeled a lifestyle of prayer and He is still our example today. We do not have to sweat blood in our prayers but we can be passionate about prayer. The Bible exhorts us to pray without ceasing (1 Thessalonians 5:17), whether we need anything from God or not, for God loves it when we earnestly and passionately seek and trust Him. * To pray without ceasing does not mean we put our life on hold and be on our knees all the time. Prayer is our means of communicating with God, which we can do anytime, anywhere. But even if we can talk with God upon waking up or while getting ready for work, in the car and even when we are at work, it is still important to set aside a specific time of the day to commune with God. This is what is known as our “quiet time,” our appointment with God in order to pour out our heart to Him, worship Him and listen from Him. 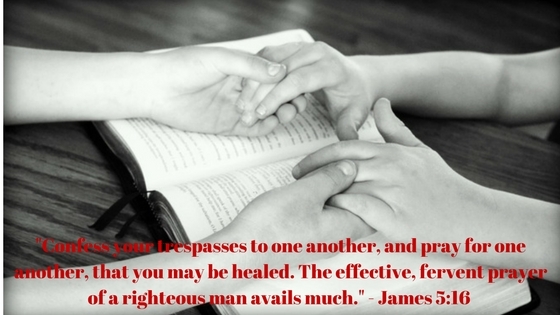 * In the same way that Jesus prayed for others, we also ought to pray for one another and for everyone with all prayers, petitions and supplications (Ephesians 6:18; Philippians 4:6; 1 Timothy 2:1). How is your prayer life??? The New Testament reveals Jesus Christ to be the perfect standard by which to measure our character, personal growth and development as a Christian. 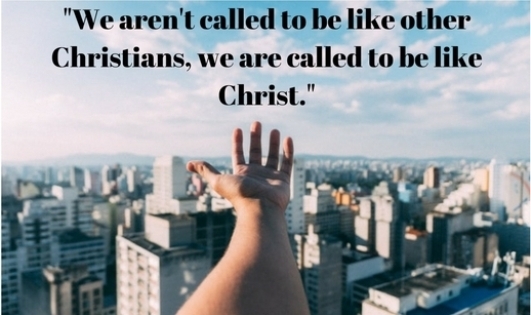 But how are we supposed to imitate Christ and be conformed to His image? If we are going to develop the character of Christ, we must aim to really do it. Let us build our life on the teachings of Jesus by applying the principles of Scriptures to our thoughts and conduct, conforming to the will of God in all things. When we allow the word of God to mold and renew our mind, a transformation occurs and we begin to take on the qualities of character that every child of God should have. I can feel how difficult it was for you to describe the character of Jesus within limits of your article. It will be endless to name all the goodness of Jesus that we would like to be and though you have mentioned only a few from what you know, it already shows the awesome character of Jesus! Thank you for your nice articles. Keep on sharing your overflowing wide perspective of God’s words. God bless you! You’re absolutely right, the Bible mentions a lot more of the character of Christ but I had to mention only a few of them. These are the ones that should manifest in the life of those who claim to follow Him. Like love; God is love and anyone who claims to be a Christian but does not have love or cannot love the unlovable is fooling himself. Thanks for your very encouraging comment, may God bless you beyond measure. Thank you for this post Alice! Well-written with great references to Scripture. I think you captured the character of Christ quite well. Your last line of the post really resonated with me. I think its great that by allowing the word of God to mold and renew us, it shows that it is a matter of surrendering ourselves to God. It is not something we have to struggle or create. But without the right environment, it is difficult for us to transform and change ourselves. This post was a great reminder for me of the qualities of Christ that I should be allowing to flow through me. It is so easy to get side-tracked, especially when we get busy with our own lives. Thank you! Hello Bill, thanks for dropping by. But as I continued to seek the Lord, I came to a realization that to be like Christ means to have His character, and not necessarily to suffer like He did and in the same way the apostle Paul suffered for the gospel. Of course, we may have to suffer at some point in order to put our faith in Christ to the test. It may seem impossible to have all the characteristics of Christ because as long as we are in the flesh, we will never be perfected. But like you said, it’s a matter of total surrender to God and allowing Him to work in us and through us. Let’s face it, we cannot do it on our own. We need the grace of God to enable us to become the person He wants us to be. All we have to do is give our lives completely to Him and let Him transform us. Let us continue to read and meditate God’s word and apply them in our lives. Let Christ change us into His character from glory to glory until we see Him face to face. Thanks for your comment Bill, shalom! Thanks for this post. Jesus is our perfect example and as Christians we should emulate Him. When we are willing Jesus is able to make us more like Him everyday for the rest of our lives. Most of everything in the world right now is against Christ and what Jesus Christ stands for. Christians need to be aware of all that and know that we have to stand strong for what we believe. Thanks for visiting my site. You’re right, everything in the world is a perversion of what God originally intended it to be. The Bible tells us that when God created the heavens and the earth, it was all good. Man was created in the image of God and the character of Christ. But after the fall, everything became corrupted, including man’s character. That is why we all need to be conformed once again to the character of Christ. But in order to do that, we need to know what is the character of Christ so we know what we are supposed to emulate. While our character will not be completely conformed to that of Christ’s until the day that we receive glorified bodies, we all must strive each and everyday to live our lives in a way that is pleasing to God. Jesus is the main character model of whom we should be like every single day of our lives. I always tell people; wake up and renew you mind with Christ’s. Be like Jesus, think like Jesus and walk like Jesus! True Linda! Jesus has set the standards for us on how to live our lives and He still is our perfect example today. And while our character will not be perfected until the day that we will see Jesus face to face (1 Corinthians 13:12), we need to continually work on our sanctification in order to become more and more like Christ everyday. If we allow God to work in our lives, He will change us from glory to glory until we will be conformed into His image and have all the character traits that man had in the beginning will be restored. Thanks for stopping by Linda, God bless!